Connections and Deceptions: FIRESTORM–Review & Giveaway! Hi there! 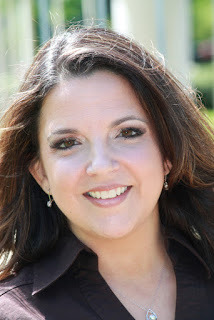 Today I’m excited to share an excerpt, review and giveaway for a new paranormal romance from best-selling author Donna Grant. 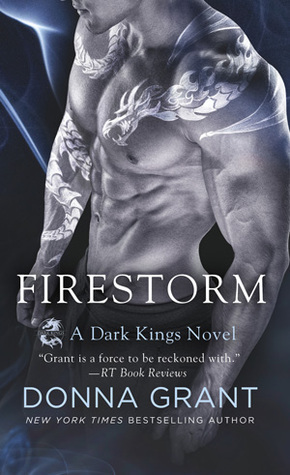 FIRESTORM is the tenth book in her Dark Kings dragon shifter romance series, and features a solitary dragon falling for the archeologist who lovingly uncovers the skeleton of one of his lost comrades. Though this book is part of a larger series, it mainly features the love story of this couple. I’ve read book nine, SMOKE AND FIRE, and liked it enough to read on in the series. Be sure to enter the giveaway below for your chance to win a signed copy of DRAGON FEVER, or an ebook. Dr. Faith Reynolds, an archeologist working a Fair Isle dig, has discovered a new world–in the form of a dragon skeleton. She’s sure this is a bona fide discovery, but most of her crew is skeptical, thinking it’s likely a new species of dinosaur. Dmitri, Dragon King of the Whites, knows this “find” is one of his family, somehow left behind and hidden eons ago after he’d ushered all the rest of his dragons through the portal that removed them from Earth and the humans that were constantly attacking. Dmitri has never forgotten the anguish of sending his family on, and never bedded a mortal human in all these years. Still, he’s struck by Faith, and her quiet, studious ways. She wants to uncover the truth of her find, and that gets to the heart of Dmitri in ways he hadn’t expected. Dark Fae are about, messing and meddling with the humans, leaving two dead over the course of several storms that slow Faith’s pace on the site–but gives Dmitri and Faith time to bond–especially once Faith is attacked by the Dark Fae and Dmitri is compelled to rescue her. I liked how they built a rapport of mutual esteem before it got physical, and I liked how Faith was willing to accept the truth of Dmitri’s heritage, too. It was interesting how the falling in love part happened quick, and there was time for more dangerous complications once Dmitri and friends got the skeleton back to Dreagan. For readers of the series, there is a lot of good stuff happening with previous couples, and naturally, Ulrik–the banished dragon who’s been stirring up lots of conflict–is back for more. As we near the end of this series, the conflict between Constantine and Ulrik seems to creep ever-nearer. This time, however, there were serious mind games happening, which made all the convictions to stay hidden and live secretly within human society seem foolish–and I liked that serious introspection. I also liked getting more of the backstory behind Con and Ulrik and what tore the rift between them. I’m anxious to see if Constantine finds a human to love, which I anticipate will be a big part of the end of this series. For readers new to the books, I felt the catch up in backstory was adequate for all this to make sense, more so that when I read SMOKE AND FIRE, so I’d recommend it to anyone who thinks dragon shifters are hot–and want to watch one fall for a studious and conscientious woman. Interested? You can find FIRESTORM on Goodreads, Amazon, Barnes & Noble, BAM, IndieBound, iBooks, Kobo, Audible, and Tantor Audio. I received a review copy of this book via NetGalley. Click on this Rafflecopter giveaway link to enter for your chance to win a signed copy of DRAGON FEVER, or an ebook. Sounds fun. Love the cover.